Dr. Neema Yazdanpanah, Pharmacist in Charge at American Integrative Pharmacy, grew up in the South Bay of Los Angeles and is a California native. His compassion and care started at a young age when his older sister battled non-Hodgkin’s lymphoma as a teenager. He watched medicine save his sister’s life and grew up knowing that he wanted to make a positive impact. After earning a Bachelor of Science in Biology from the University of California, Riverside, Neema completed his Doctorate of Pharmacy (PharmD) from Midwestern University, Chicago College of Pharmacy. Throughout his career he has worked in many different scopes of pharmacy, but found that his passion and experience in pharmaceutical compounding is where he could make the greatest contribution. He plays a key role in helping patients feel better by using an array of pharmaceutical skills and the latest medical interventions. Neema goes the extra mile for his patients by using his thorough consultations and providing alternative and integrative options for a variety of illnesses. These include multi-system disorders such as hypothyroidism, Hashimoto’s thyroid disease, Graves’ disease, testosterone deficiency, menopause, Crohn’s disease, celiac disease, depression, multiple sclerosis, rheumatoid arthritis, autism, and Lyme disease. He conducts Medication Therapy Management (MTM) for patients whom are on numerous medications with complex health needs. Using his compounding expertise in the field of sports medicine, Neema helps NHL, NBA, NFL, MLB and Olympic athletes by creating personalized compounds. His unique formulas treat inflammation, accelerate muscle recovery and promote skin healing. Dermatology offices work closely with Neema to have customized creams and gels prepared that are used for aesthetic procedures and skin care enhancements. 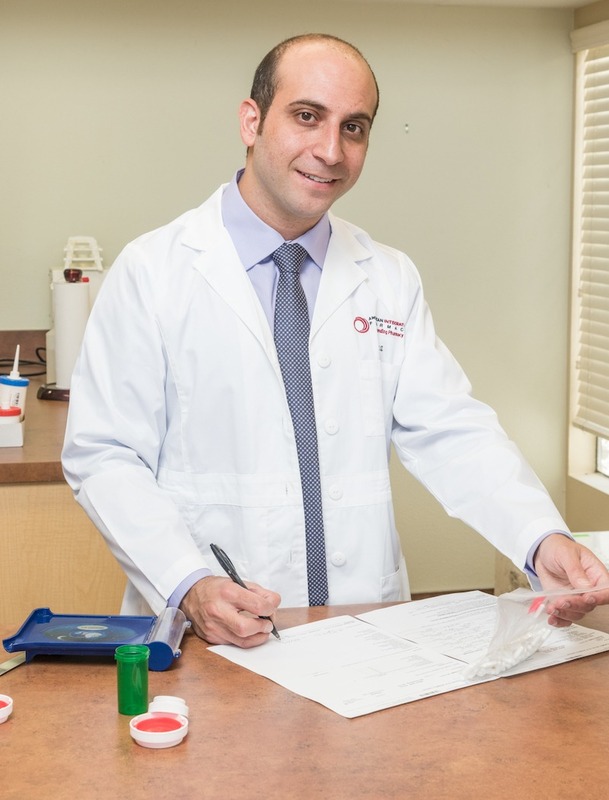 As an active member of many prestigious pharmacy organizations including the APhA, CPhA, IACP and LDN Research Trust, Neema is consistently expanding his professional development so that his patients have access to the latest treatments. He was recently invited for a Low Dose Naltrexone (LDN) Research TrustPodcast and shared the results from a patient-case study that he conducted. Later, he was asked to share his findings at an LDN Conference and inform doctors nationwide on the medication’s efficacy and safety. He practices a healthy and active lifestyle and enjoys playing soccer and basketball, hiking, spending time with family and cooking healthy meals. The blend of his experience, knowledge and high level of care makes us grateful to have Neema serving our patients at American Integrative Pharmacy. The journey to reaching your optimal health starts here. Call us to learn how we can help you navigate your healthcare needs.